A ransom of N15 million was paid to secure the release of Bisi Ogungbemi, the Chairman of the Ondo State chapter of the African Democratic Congress (ADC), SaharaReporters learnt on Sunday. 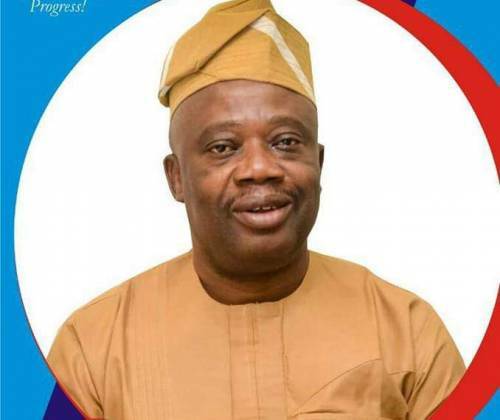 Part of the ransom was also used to free Jide Ipinsagba, the Ondo North Senatorial Candidate of the ADC in the 2019 general election, who was abducted alongside Ogunyemi. On Wednesday, gunmen had kidnapped both men with three others on the Oba Akoko/Owo road while returning to Akure after a political meeting. Others kidnapped include Mrs. Funmi Abdulkareem and Boye Oletuyise, as well as a driver. The trio were later released same day by the kidnappers. However, a source within the party, who confirmed the amount paid as ransom, said the kidnappers had demanded the sum of N20 million from the family members before their release from captivity. The source, who preferred not to be named, revealed that the family was able to raise N15 million after the kidnappers had threatened to kill the victims if the money was not paid on time. “Immediately they kidnapped them, they contacted the Ipinsagba family, who also informed us in the party that the kidnappers were demanding the sum of N20 million before their release or they would kill them. “We were afraid and started sourcing money to secure their release. However, they later released the driver and the personal assistant to go home and report how the remaining victims are suffering in their camp. “They called again and we begged them that we could only raise the sum of N15 million, which was slashed into N3 million each for the victims abducted by the hoodlums. “When they confirmed the money had been paid, they released them in the dead of the night on the road path and they found their way to Akure in their dirty clothes,” the source said. Bikkita Bello, erstwhile Speaker of the Ondo State House of Assembly, had confirmed the release of the party chieftains to SaharaReporters via phone. Bello, the ADC candidate for Akoko North West Federal Constituency, said both men had been reunited with their families and had been speaking on their ordeals in the kidnappers' den. "I am aware that a team of policemen from the Anti-kidnapping Squad have visited the two of them after they were reunited with their family members," he said. “They have also been speaking on their ordeals in the hands of their abductors, who forced them to trek some miles inside the thick forest in the dreaded Akoko region and were fed with garri and water." Femi Joseph, Spokesman of the Ondo State Police Command, told our correspondent that security agencies were still investigating the case with a view to bringing the perpetrators to book. “Despite their release, we are still investigating those behind this carnage on the politicians," he said. “But I can assure that we shall arrest whosoever that might have masterminded the kidnap and bring them to book."